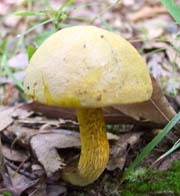 Boletus longecurvipes: Yellow-orange to brown-orange caps often, as seen here, with green tones in wet weather. 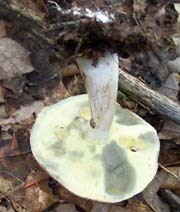 Pores pale yellow fading to gray, green gray or brown. Location: Lindy Run Trail, Canaan Mt, MNF, WV. 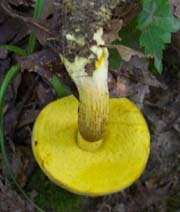 Boletus chrysenteron, Red-cracked Bolete: Olive-brown cap with red between cracks, yellow pores and reddish-yellow stems. Location: Tea Creek, MNF, WV. 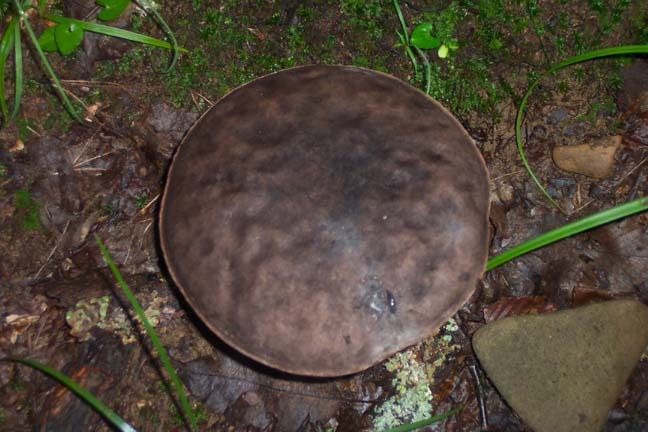 Boletus bicolor: Bi-colored Bolete. Dark to Rose Red cap and stalk with bright yellow pores. Location: Plantation Trail, Canaan Mt, MNF, WV. 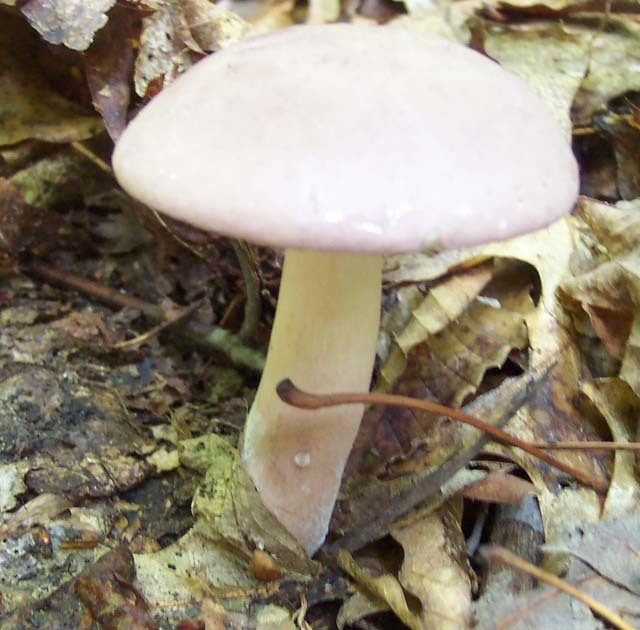 Tylopilus chromapes, Chrome-footed Bolete: Beautiful creamy pink and white with yellow foot (not shown). May - October. 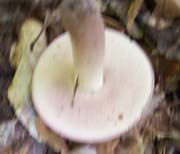 Edibility good. Location: Fayetteville Tr, New River Gorge National River, WV. 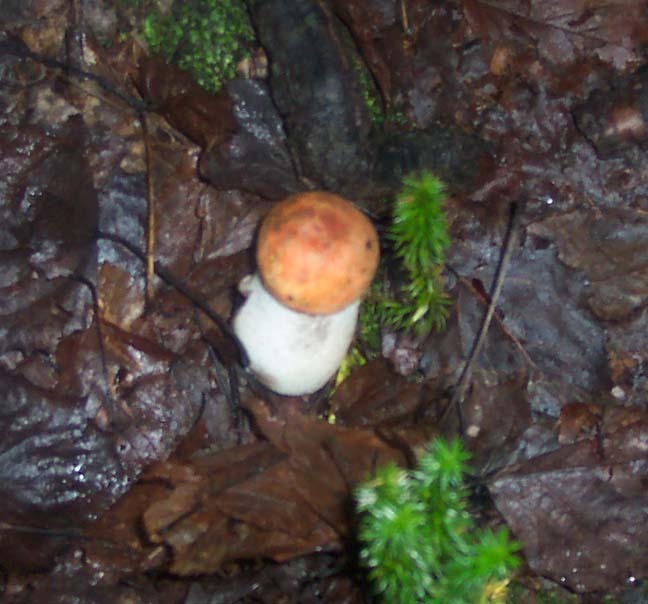 Strobilomyces floccopus: Old Man in the Woods. Location: Gunpowder Loop Trail above Hemlock Gorge, MD. Photo by Ken Clark. 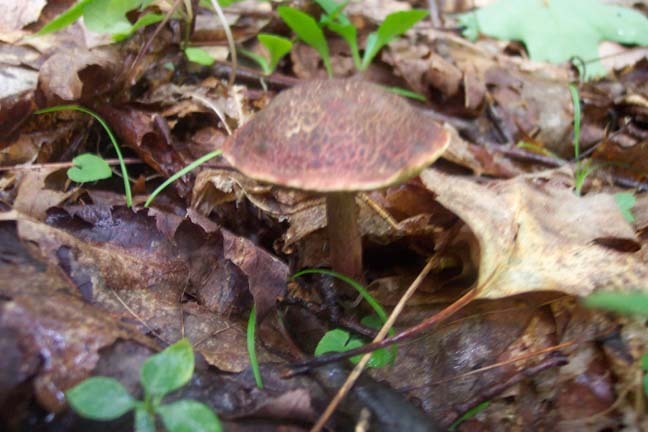 Tylopilus rubrobrunneus, Reddish-brown Bitter Bolete: Purple to Brown cap turning cinnamon w/age w/white pores which turn pink to pinkish-brown with age. brown stem. Unpalatable when cooked. Location: Seneca Creek Back Country, MNF, WV. Photo by Jim Kirk. 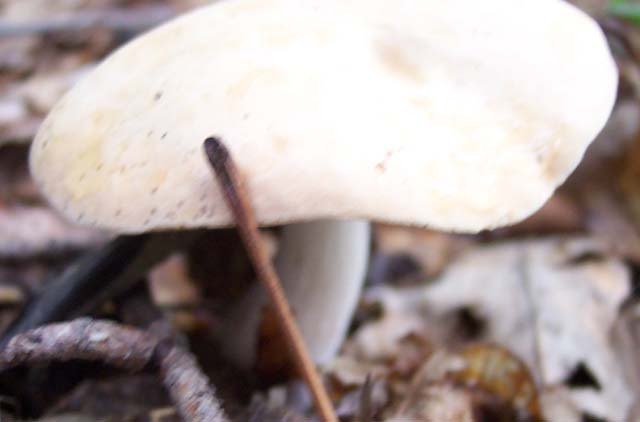 Leccinum scabrum, Common Scaber Stalk. 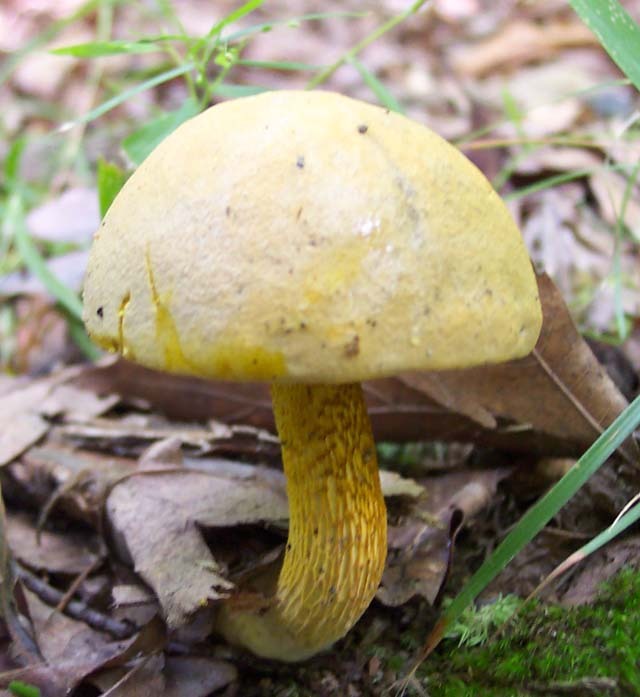 The most common Bolete. Edible. Location: Tea Creek Tr., MNF, WV. 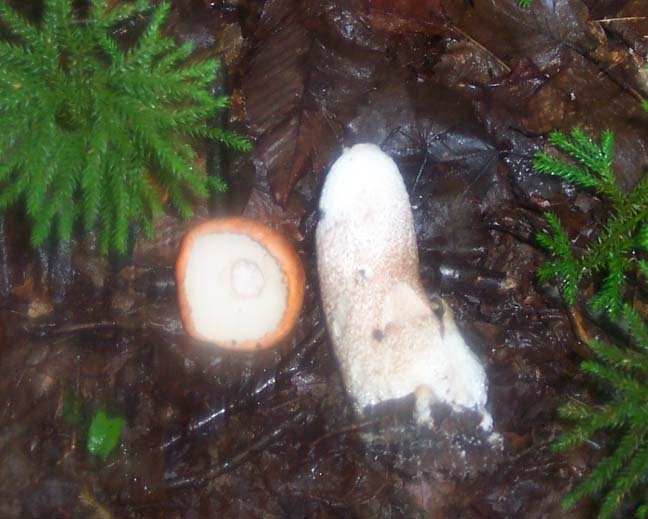 Pulveroboletus ravenelii, Powdery Sulfur Bolete: Cap and stem "powdery" when young, coming off in one's hand. Pores bright yellow bruising blue. Location: Fayetteville Tr, New River Gorge National River, WV. 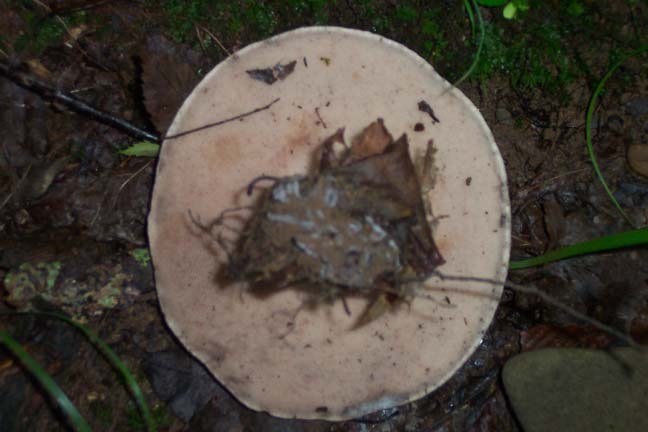 Tylopilus fellus, Bitter Bolete: Dark brown cap, pink to pinkish-brown spores and yellow stalk with red netting. As the name implies, not palatable. Location: Tea Creek Backcountry, MNF. 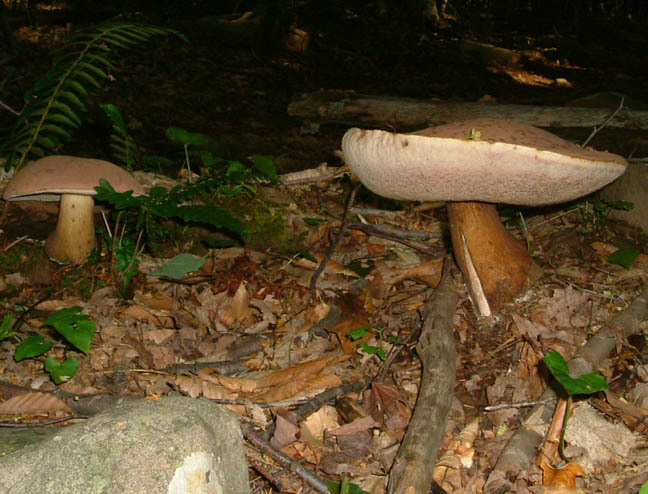 Boletus pallidus, Pale Bolete: White to off-white with pale yellow spores that bruise gray to green-blue. Good edibility. Location: Endless Wall Tr, New River Gorge National River, WV.